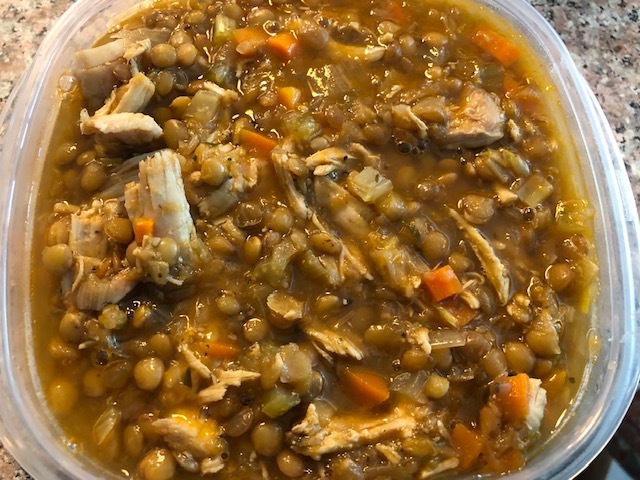 An old family favorite – Minestre (made today with chicken thighs. 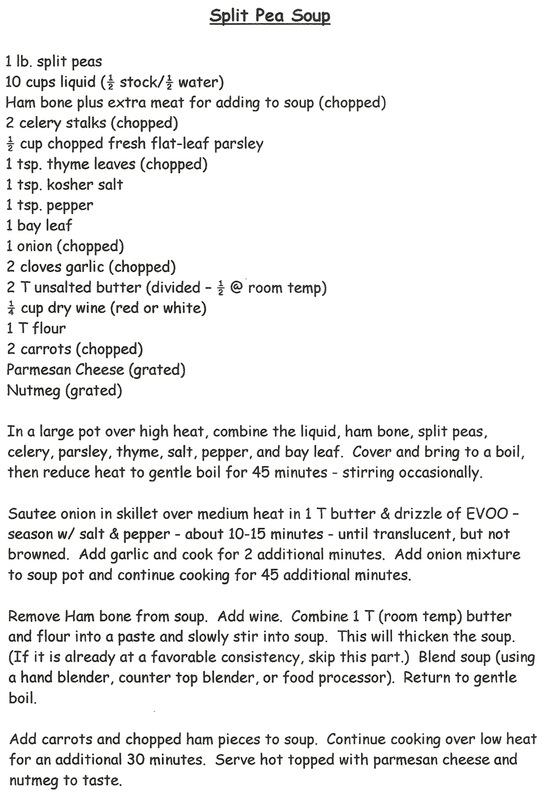 I hope these old favorite soup recipes inspire a bowl of hot, delicious soup on your table real soon! Next weekend, a re-do of my favorite Christmas cookies! 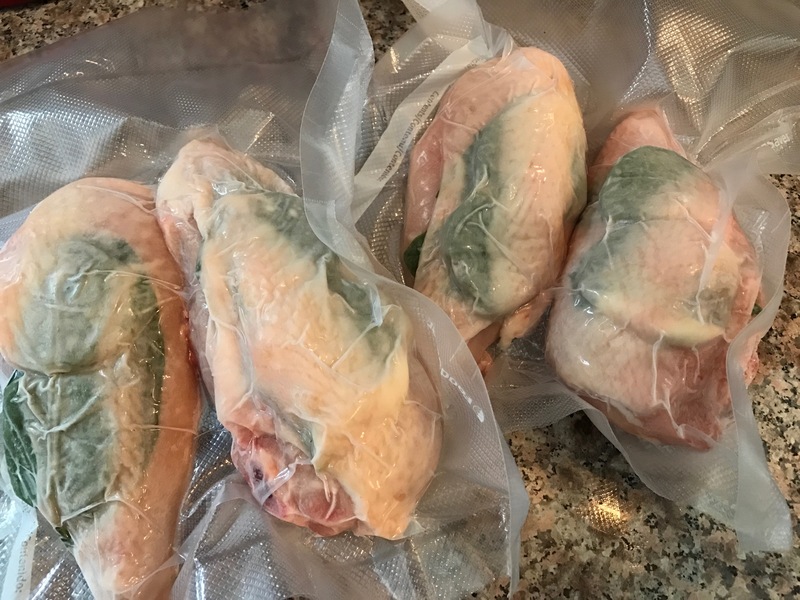 UPDATE – Recommendation: Here’s an added tip to the following directions for skinning fresh tomatoes and freezing before use to make a delicious pasta sauce. If you prefer to ‘seed’ tomatoes (as much as you can’ before making sauce, then BEFORE FREEZING, cut out the stem area, cut each tomato in half across the middle, and the most of the seeds will squeeze right out. (I found it harder to get the ‘seed’ the tomatoes once frozen whole, even after defrosting before use. Hope that helps! Summer gardens are the best! Fresh fruits and vegetables that pop with flavor and keep you coming back for more and more. As much as we love them, we usually find that they are all ripe ready in large bunches – so what to do with all of them? 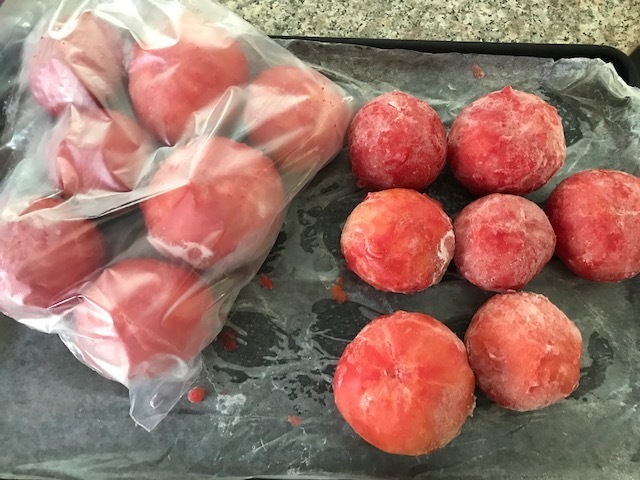 Here’s an idea for garden fresh tomatoes that can be put ‘on hold’ until you’re ready to make your next batch of homemade pasta sauce: Fresh Frozen Peeled Tomatoes! Skin will easily peel away! 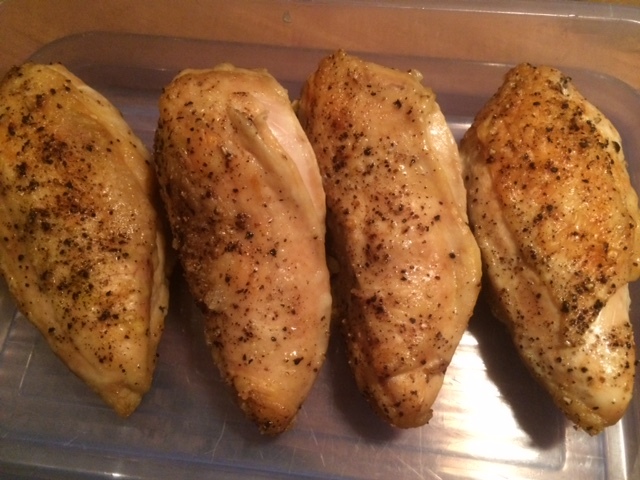 Line a sheet pan with parchment or wax paper and place peeled tomatoes on sheet pan. Place sheet pan in freezer until tomatoes are frozen. Transfer to freezer bag and store for up to 6 months – defrosting when you’re ready to make fresh homemade pasta sauce! 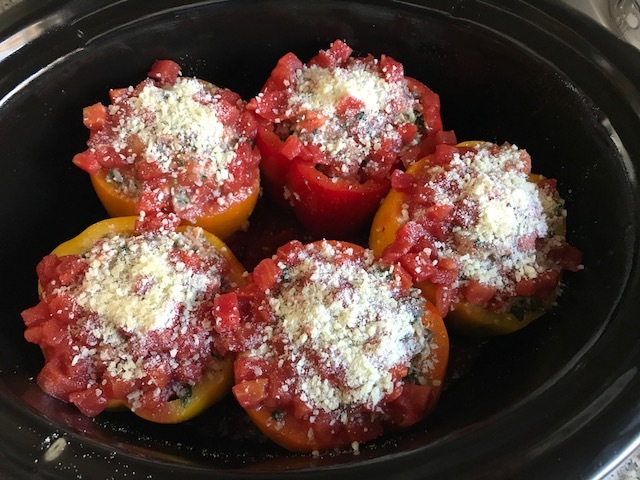 Stuffed Peppers – Turkey-Quinoa… in a Crockpot – yikes! Okay, I admit it. Never had, nor never wanted a crockpot. I love to cook, so I never saw the point. 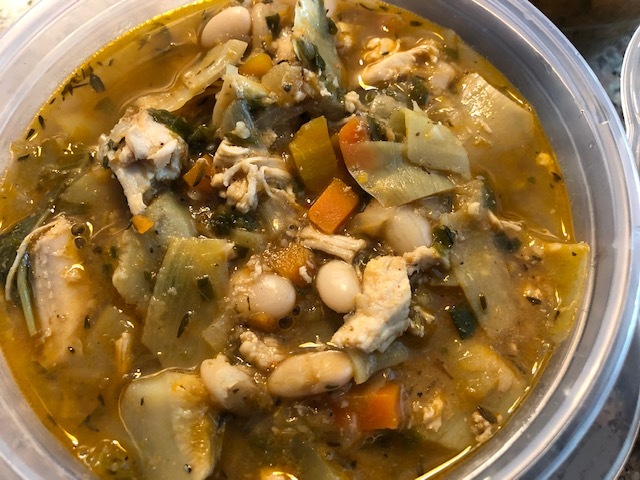 Given that, we got one this year and I did make a delicious Chicken Chili Verde. Although that worked well for that purpose, I still couldn’t think of any reason to use, or want to use, a crockpot. As my dad and I talk about food and cooking most every time we talk, he told me he had just made stuffed peppers in a crockpot. 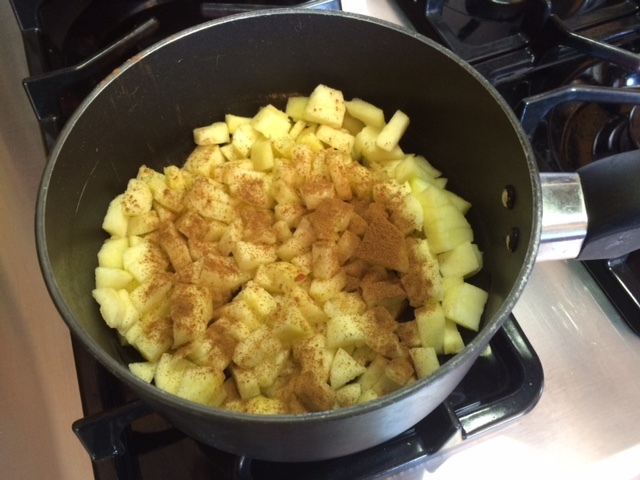 (That surprised me because I never knew the crockpot to be his go-to cooking method.) . I guess I was hungry when we talked because that sounded so good to me, and I knew I’d make enough for a few to go into my freezer pantry. 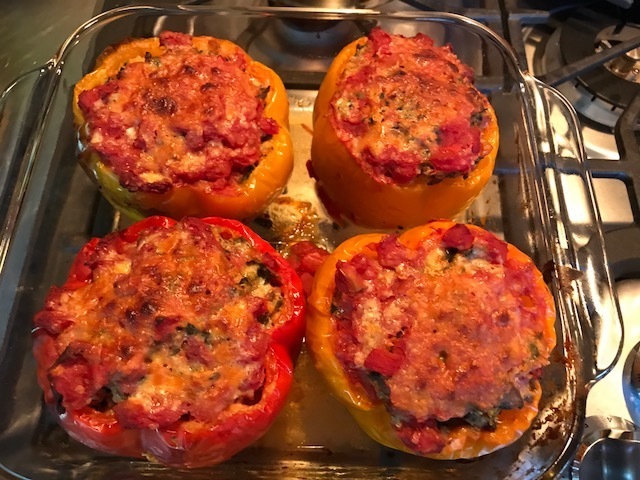 Today being Father’s Day, though my father is 3,000 miles away, was the day I put crockpot stuffed peppers to the test! Results: AWESOME! 3.5 hours on high in the crockpot, then 20 minutes in the oven at 400F (I couldn’t help myself because to me it’s all about the golden color and added texture/taste.) . Here you have it, healthy, delicious, nutritious Turkey, Quinoa, Spinach, Feta, Crimini Mushroom, and Diced Tomato stuffed peppers! 8 Home-Cooked Meals for under $20?? No Problem – I’ve got you covered! So what does 8 meals for under $20 look like? 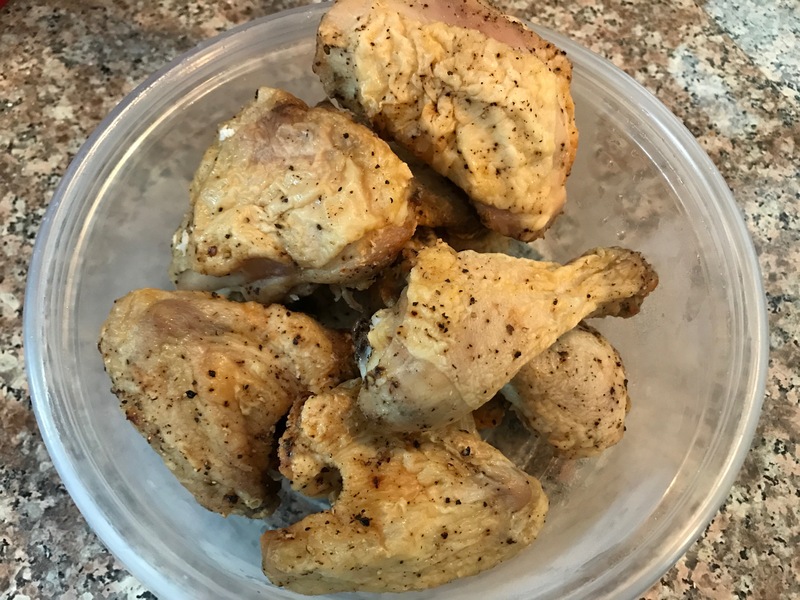 Although I’ve shared each of these food prep ideas before, I thought it worth another post to remind everyone that fresh and delicious home-cooked are always within reach – at a fraction of the cost of going out or stopping at the drive-thru window on your way home from work. 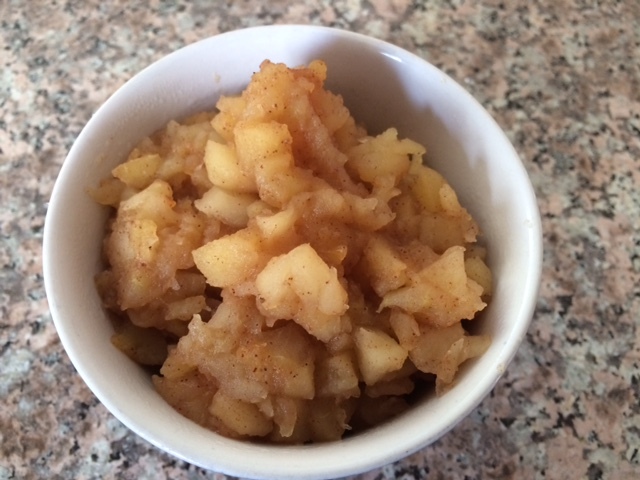 I’ll write about shopping smart and turning leftovers into delightful new creations. I’ll share ideas on dishes that can be made ahead and placed in the freezer to ensure a hot healthy meal after a long day at work. 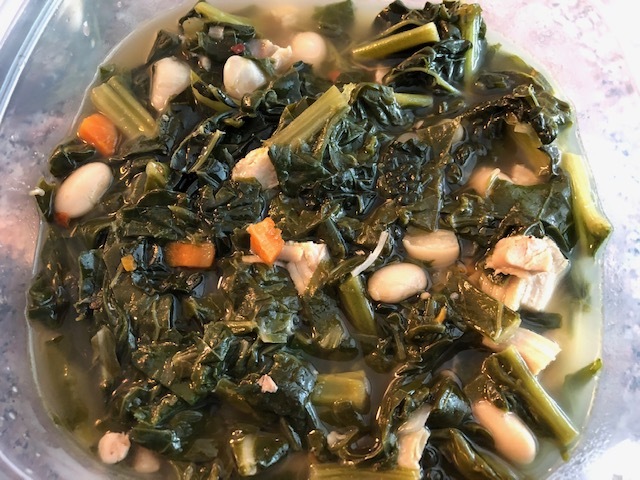 I believe everyone can enjoy home-cooked meals at a fraction of the cost of going out – and feel good about what you’re doing for yourself and others in the process! Food is a great way to share a part of yourself – and it doesn’t have to be fancy or expensive. Thanks for joining me on my adventures in the kitchen, and I hope you’re inspired to try some of the recipes and prep-ahead ideas to reduce stress, eat fresh, and enjoy great food together! 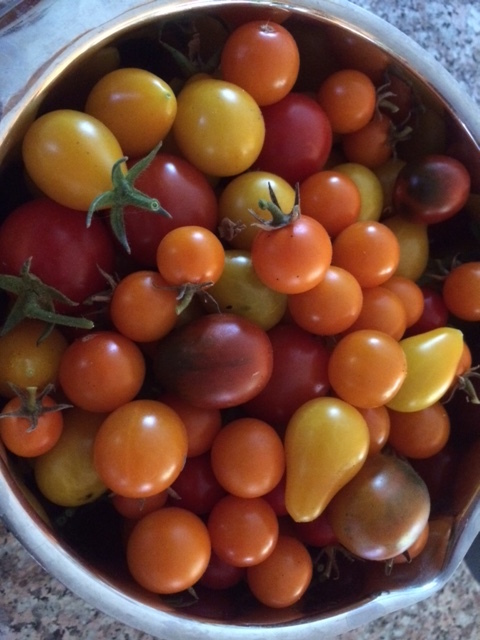 Nothing says summer like fresh veggies from the garden! 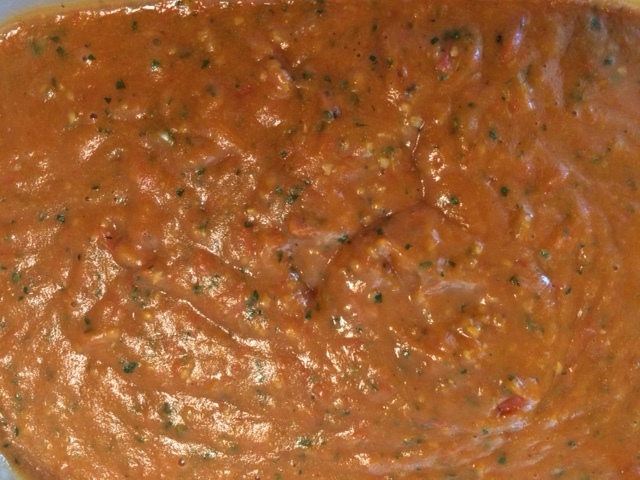 When the abundance of cherry/grape tomatoes is too much to eat now or even give away, why not make this quick and easy (1, 2, 3) fresh roasted tomato sauce? You can enjoy some of it over your favorite pasta today – and freeze in small containers to enjoy when you’re yearning for a taste of summer! 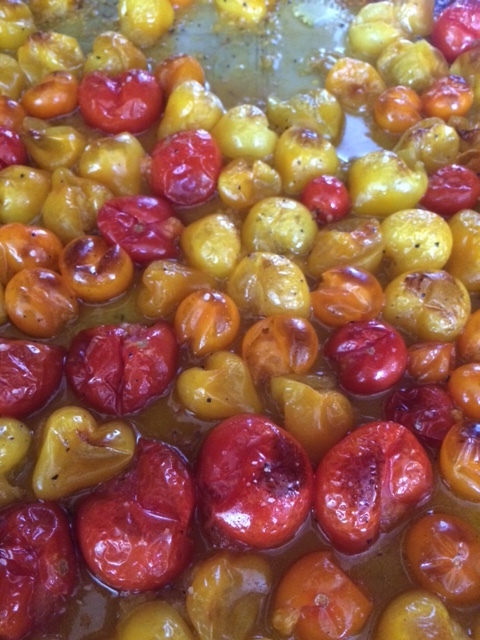 Toss with olive oil, kosher salt, and fresh ground black pepper on a sheet pan – roast at 400F for 30-40 minutes until the tomatoes start to caramelize and the juices escape onto the pan. Cool slightly after removing from oven. Blend in food processor, little by little, along with a couple of garlic cloves, a handful of Italian parsley, a few tablespoons of olive oil, and more kosher salt and fresh ground black pepper to taste. That’s it! Enjoy over your favorite pasta and bite into summer goodness! 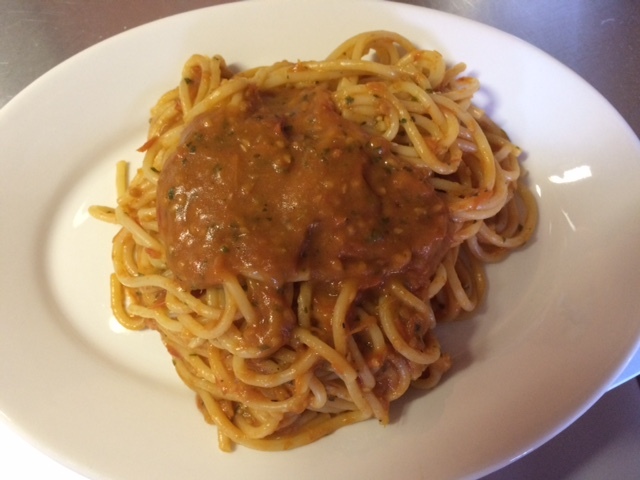 Truly is as easy as 1, 2, 3 – and 4 – Buon Appetito! 3. 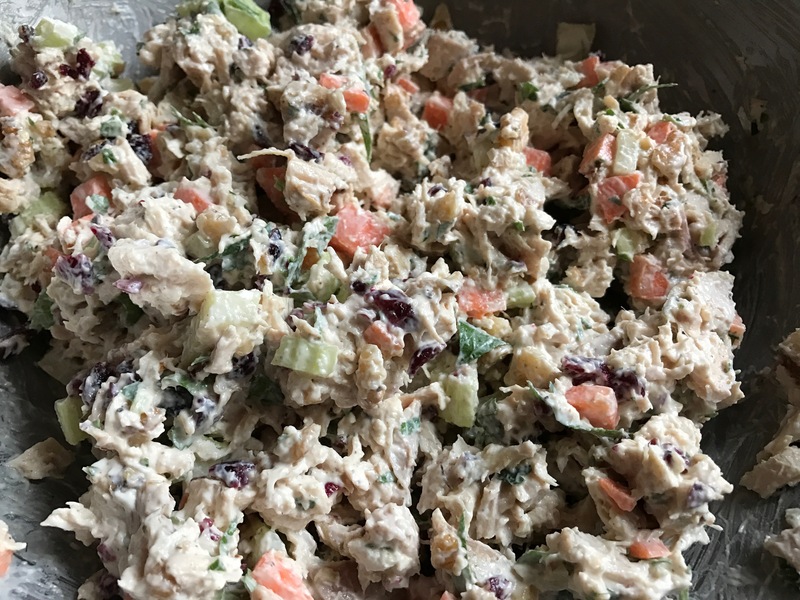 Chicken Salad – Ready to Eat! 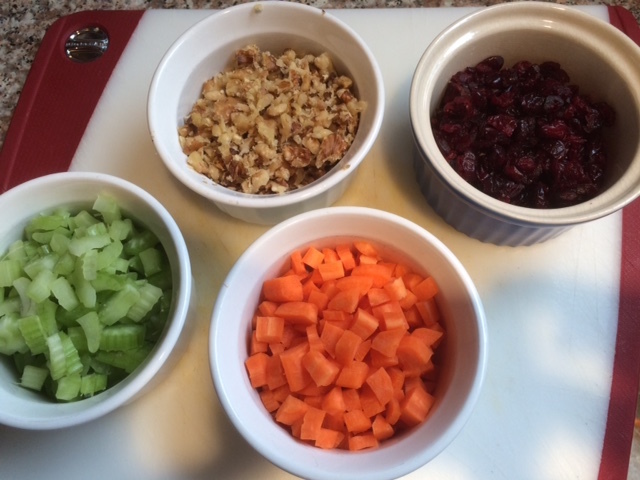 Chop about 1/2 cup (2 stalks) celery, 1/2 cup (2-3 small) carrots, and a handful each of walnuts and dried cranberries. 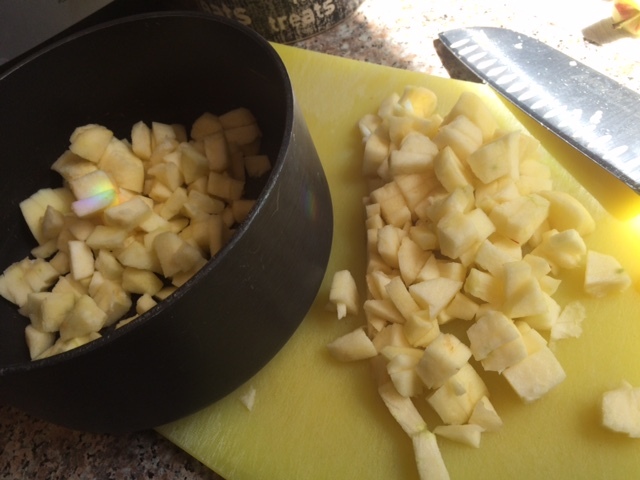 Add to the chopped chicken. That’s it! Simple and Delicious. 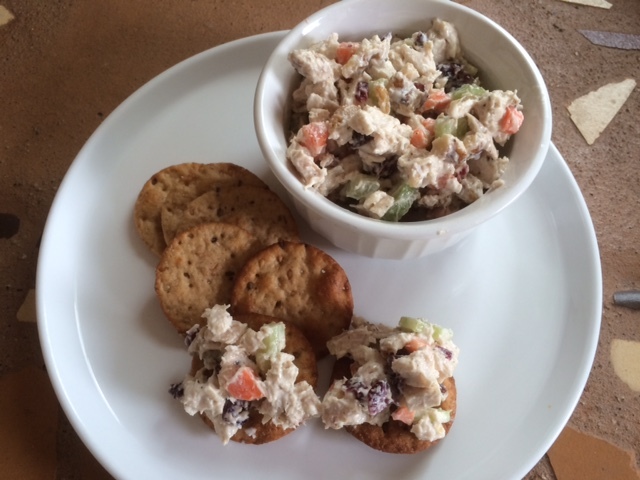 Eat with your favorite crackers, on your favorite bread as a sandwich, or put a scoop on top of a salad. Now matter how you enjoy it – you’ll be making it again and again! Enjoy!